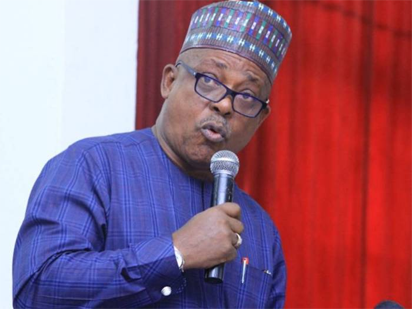 The National Chairman of the Peoples Democratic Party, PDP, Prince Uche Secondus has warned the Chairman of the Independent National Electoral Commission, INEC, Professor Mahmood Yakubu that history will be unkind to him if he fails to conduct free and fair election in 2019. Prince Secondus said that manipulation of election in 2019 would be a recipe for crisis in the country and the INEC Chairman will be held accountable. The National Chairman who spoke while hosting election team of the Economic Community of West Africa states ECOWAS led by Mohammad Conteh at the party’s National Campaign headquarters in Maitama, Abuja, said that the electoral commission is working in conjunction with the ruling All Progressives Congress, APC, to rig the election in 2019. According to a statement from the National Chairman’s media office signed by his media Adviser Ike Abonyi, Secondus alleged that the commission used the governorship elections in Ekiti and Osun states as rehearsal to practice their rigging strategy for 2019. “They have finished their rigging arrangements with preloaded cards and special election result sheets all doctored to Favour the ruling APC. “They have finished plots to isolate states of Kano, Benue, Rivers, Buachi, Akwa Ibom, Delta, Imo and Kwara and Lagos for disruption during the general election so they can plan well to mobilize the rigging,” the statement read in part. He alleged that the commission’s rigging agenda is being propelled by the security agencies especially with the current Inspector General of Police who has proved to be the most violent bias Police boss in the country. The National Chairman said his party is using the INEC template they saw in Ektiti and Osun states to reiterate their lack of confidence in the commission as nothing has happened to show that there is going to do anything different from what they did in those two states. The PDP boss advised the umpire to disregard the size of Nigeria and go to Ghana and pick some lessons on how to conduct free and fair election. The National Chairman commended the Judiciary for standing up for democracy pointing out that without that arm of the government, the country would have been a banana republic. Prince Secondus fielded questions from the five man team of the sub region body who through their leader expressed the need to have credible election in Nigeria as it would go a long way to deepen democracy in the region.